Studen of the Year 2 actor Tara Sutaria was meant to be in the movies one day as the girl has been showcasing her talent since she was a child. Tara Sutaria makes her Bollywood debut with Student of the Year 2. The new cast of Student of the Year 2 was announced earlier today. The film witnesses the debut of Ananya Panday and Tara Sutaria. Many might have heard the name Ananya Panday as the girl has been quite a favourite of paparazzi but Tara’s name piqued interest. After all, everyone wants to know who is this girl making her debut with Dharma Productions. 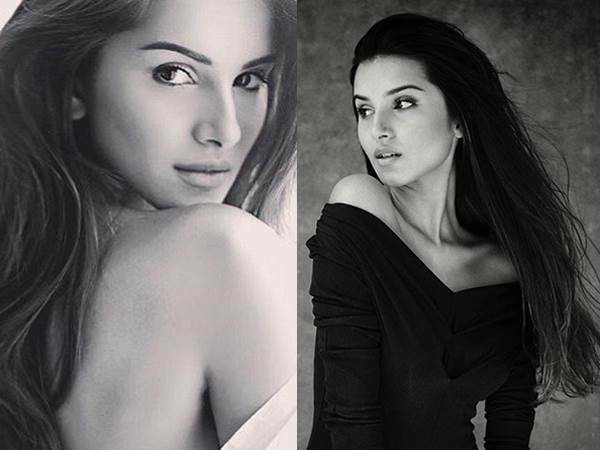 Tara Sutaria was meant to be in the movies one day as the girl has been showcasing her talent since she was a child. Tara has been a professional singer from the age of seven and has performed in many operas and competitions. When Tara was only 13, she participated in Sony’s Entertainment Ke Liye Kuch Bhi Karega which was judged by Farah Khan and Anu Malik. At the competition, she performed an opera and received a standing ovation from the audience. Not just singing, Tara is also a skilled sketch artist as she presented Anu and Farah with portraits that she made. In another round of the same show, Tara sang as well as performed ballet dancing. Her performance stunned the judges and they showered her with all the praise. Looking back, it looks like Farah and Anu can spot talent in a moment. She is an accomplished singer who has performed concerts in London, Tokyo, Lavasa and Mumbai. Tara’s big break in TV was as the host of Disney channel show Big Bada Boom. Tara has also displayed her acting talent in various shows. She has acted in Disney show The Suite Life of Karan & Kabir which was the Indian adaptation of The Suite Life of Zack and Cody. Tara’s character was the one that was played by Ashley Tisdale in the US version. Following this, Tara was cast in another Disney show Oye Jassie. The show was adapted from Jessie and here Tara played the lead role. Tara has also played the lead role in Raell Padamsee’s production of the musical Grease. Tara Sutaria’s big break in TV was as the host of Disney channel show Big Bada Boom. Tara Sutaria is also a trained dancer. With so much talent, Bollywood was the obvious next step for Tara and making her debut in Student of the Year 2 is just the first of many big achievements for the young star.